Raised in Orlando, Young showed an early interest in aeronautics, building model airplanes as a child, said the Houston Chronicle. “His decision to join NASA was inspired by President John F. Kennedy’s 1961 call to land a man on the moon,” which he watched on TV while serving as a Navy test pilot. 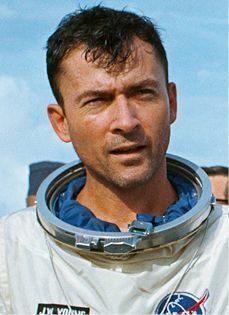 Selected for the space program the following year, Young was soon making history, said The Washington Post. He was part of the first two-man space flight in 1965 with Grissom—but was reprimanded by NASA officials for smuggling a corned beef sandwich aboard Gemini 3. 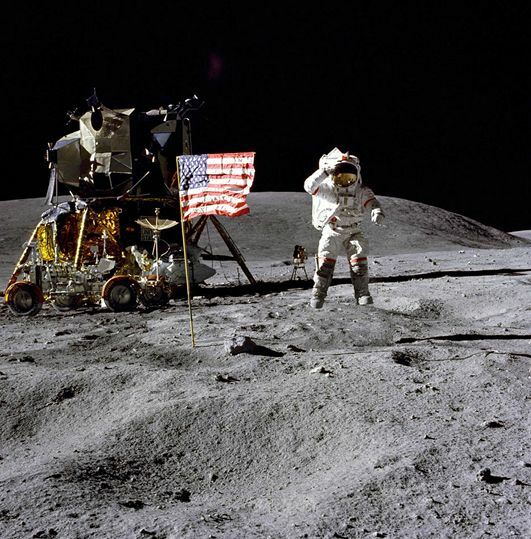 “In 1972, as commander of Apollo 16, Young became one of only 12 astronauts to set foot on the moon.” With crewmate Charles Duke, he drove a buggy 16 miles across the lunar surface.